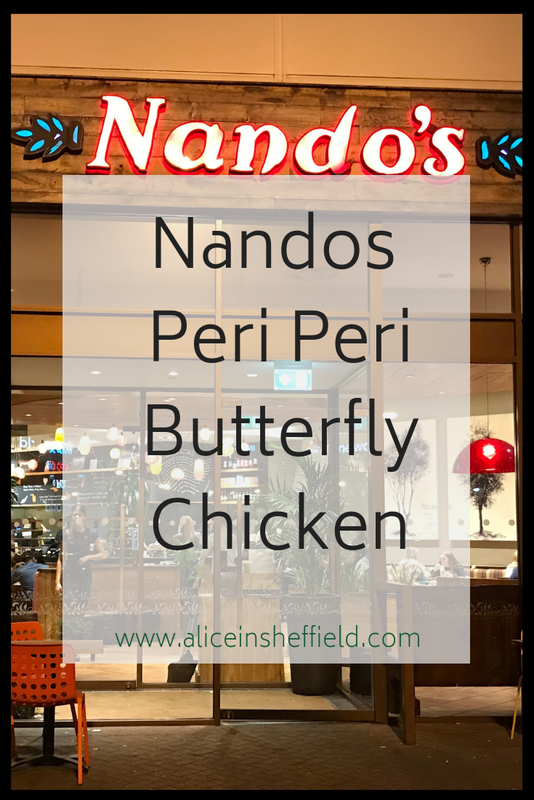 Nandos Centertainment is the Nandos nearest to me so probably the one we frequent most often, as I mentioned it's often our go to when we go to the cinema because we don't feel quite as bad for eating grilled chicken as we could at other Sheffield restaurants around there. 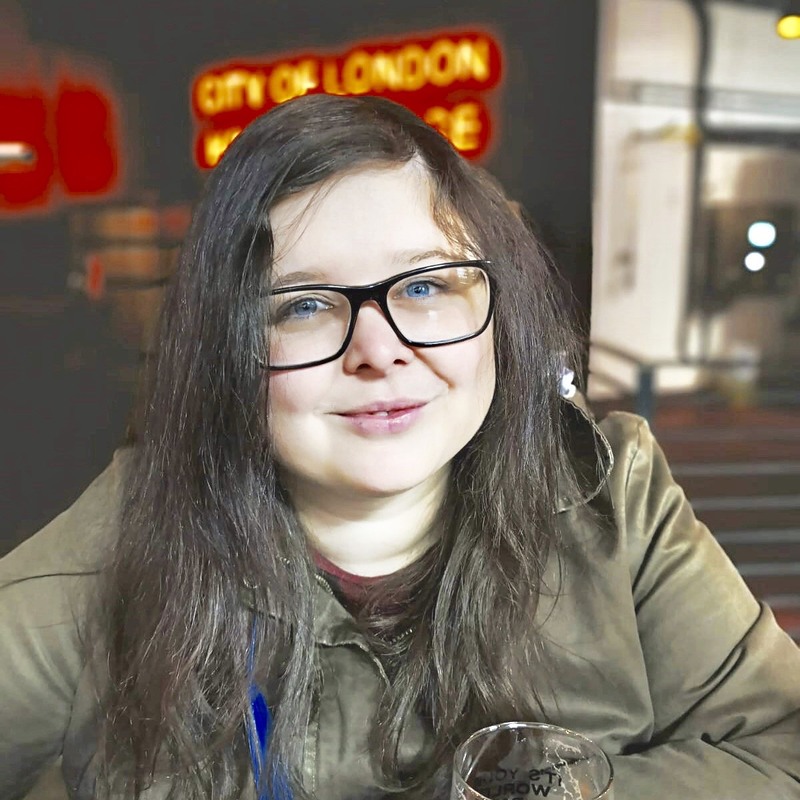 The service has always been fantastic and very speedy, this particular occasion the food was ordered and in front of us within 10 minutes. 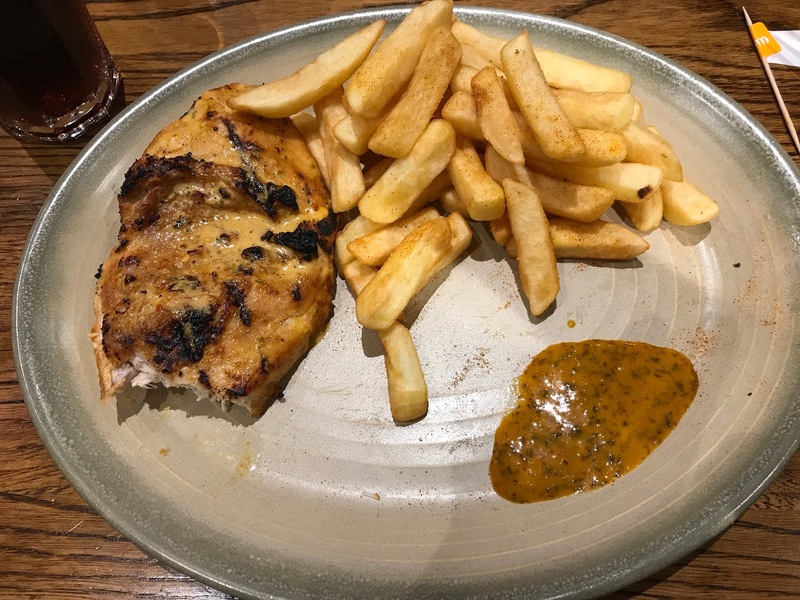 I tend to order my chicken as a medium because while I love the Peri Peri seasoning I prefer increasing the heat myself with sauces. I love that you can see just how juicy the chicken is, and where it's been chargrilled. The peri chips were divine and always have just the right amount of seasoning without going overboard. 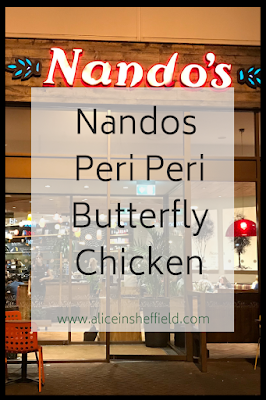 I've tried a fair few of the options at Nandos but have settled most recently on the butterfly chicken because the chickens cooked to perfection and the skin is always really crispy. If you haven't tried the Wild Herb sauce before then try it next time you visit you won't be disappointed. I think Nando's offers exceptional value. You can have a top quality sit down meal for less than £20 - where else could you do that? 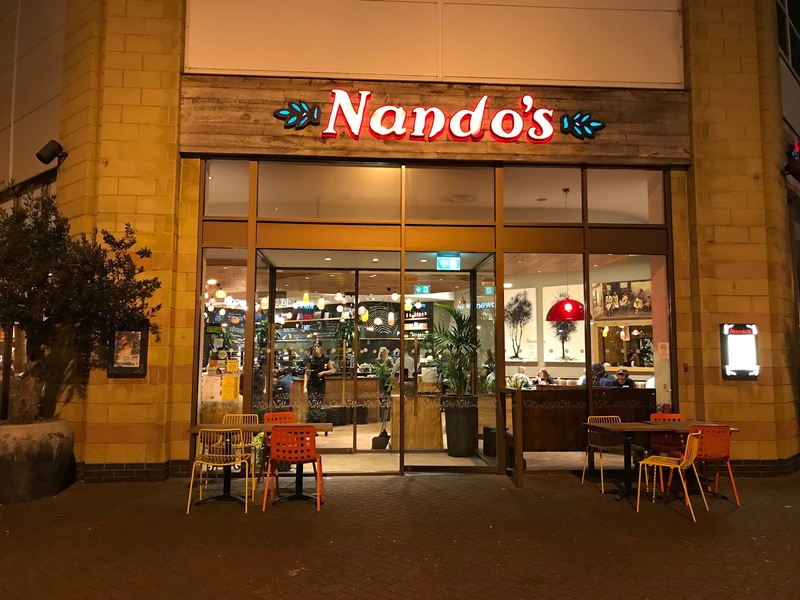 All in all, Nandos will probably remain my most visited eatery at Valley Centertainment as I've never had a disappointing experience yet. What's your Peri Peri spice?